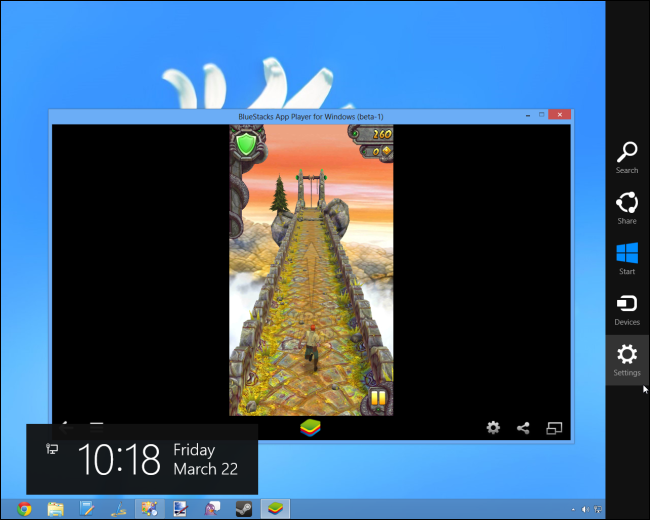 BlueStacks is currently the best way to run Android apps on Windows. It doesn’t replace your entire operating system. Instead, it runs Android apps within a window on your Windows desktop. This allows you to use Android apps just like any other program. BlueStacks also includes support for easy installation of apps from Google Play, so the process is as seamless as possible. Even better, BlueStacks runs Android apps and games with surprisingly good performance. This solution can’t replace Windows with Android, but that’s not a bad thing — competing solutions that allow you to dual boot Android with Windows are currently unstable. This is only a solution for running Android apps on Windows. Unlike many of the other options here, this is a fairly stable and polished experience. 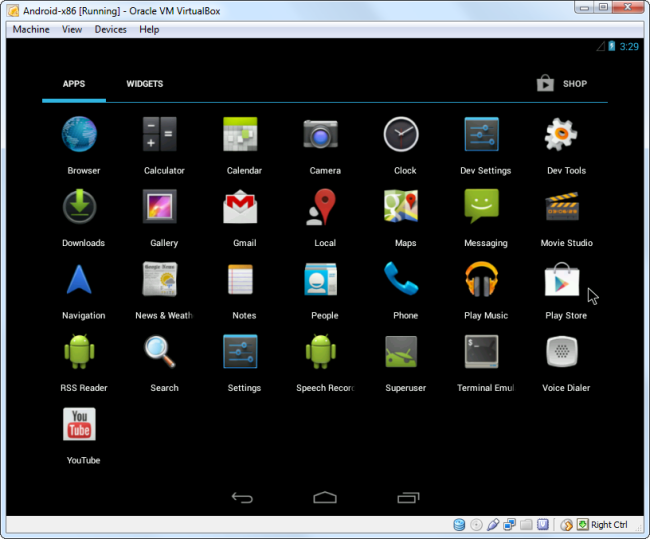 To get started with the Android Emulator, download Google’s Android SDK, open the SDK Manager program, and select Tools > Manage AVDs. Click the New button and create a an Android Virtual Device (AVD) with your desired configuration, then select it and click the Start button to launch it. Android-x86 is a community project to port Android to the x86 platform so it can run natively on Intel and AMD processors, allowing you to install Android on a laptop or tablet just as you’d install Windows or Linux. This project was originally noteworthy for providing a way to run Android on low-power netbooks, giving those old netbooks some additional life. Only certain devices are officially supported at this time. The official page lists ASUS Eee PCs, the Viewsonic Viewpad 10, Del Inspiron Mini Duo, Samsung Q1U, Viliv S5, and Lenovo ThinkPad x61 Tablet as tested platforms. However, you should also be able to install it inside VirtualBox. This allows you to install Android inside a virtual machine. 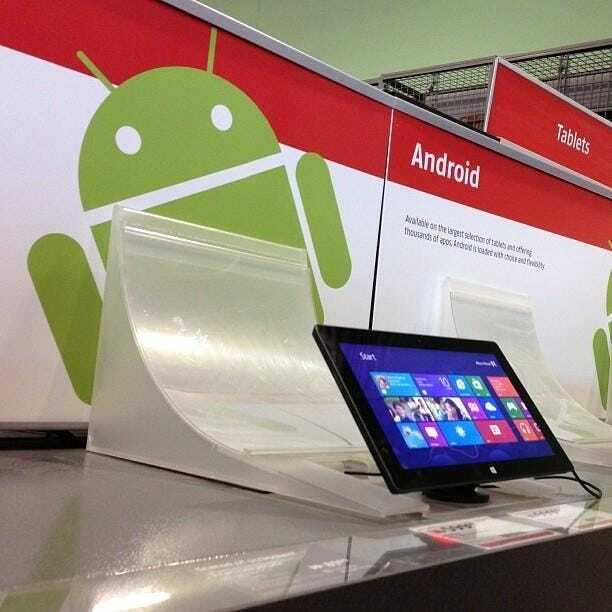 Intel develops their own distribution of Android for new Intel-based PCs with UEFI firmware. It’s named Android on Intel Architecture, or Android -IA. Intel even provides an installer, which you can use to install Android on your Windows 8 device. The installer will ask if you want to preserve Windows in a dual-boot scenario, so this is a way to dual boot Android and Windows on a new laptop or tablet. In the long term, the Android on Intel Architecture and Android-x86 projects may make Android easier to install and use on a wider variety of hardware. They could provide an easy way to dual boot Android and Windows — or even replace Windows with Android. For now, these projects aren’t recommended unless you have supported hardware — and you should be careful even if you do.